In this blog, we list out the basic 10 pointers that you must keep in mind while researching for your yoga teacher training centre (YTT) in India. The best organizations are guided by a philosophy and the same is true for yoga schools as well. Look at the mission and vision behind the yoga foundation. While some Indian yoga training centres are founded solely to train and create yoga teachers, others are trying to work towards a larger goal such a perpetuation and propagation of a spiritual school of thought. Join a yoga teacher training facility that aligns with your goals, be it mastering yoga poses or achieving philosophical and spiritual knowledge. Yoga teacher training lasts for many weeks to many months and your time will be spent with your fellow classmates and teachers. That’s why it is important to make sure that your yoga school has experienced teachers who are genuinely passionate about teaching yoga. A good team of yoga teachers will not only help you master your yoga poses and manage related complexities but also share vast their knowledge which they have gained from their own practice. Yoga is not just about learning some asanas and bending your body in different ways. It is about finding the balance of body and mind. Connecting with your inner self is aided by peaceful surroundings and presence of natural beauty. This is the reason yogis go to hills to practise yoga and explore spirituality. So, it would be an advantage if you pick a yoga school or ashram that is located in a pristine environment and surrounded by natural beauty. Because your stay won’t be for just a couple of days, it is best to know about the amenities that will be provided along with the YTT. Most yoga schools in India serve vegetarian food. Accommodation, on the other hand, varies from school to school. Hence, it helps to confirm beforehand all the amenities that will be provided during your stay. India is home to thousands of yoga schools and institutes, and all of them have a different fee structure. While some charge a premium fee for facilities provided, others charge a rather reasonable amount to train aspiring teachers in the ancient art of yoga. So, explore various options before making your mind. A useful tip, try not to pay separately for accommodation and meals. Top yoga training institutions have this covered in the entire fee for the course for the convenience of the students. Only those yoga schools and academies can endow yoga certifications that meet the minimum criteria and are registered with or have recognition to provide certification. Since yoga training has evolved into an industry over the past 10 years, there is a fair chance that there are unauthorized training centres operating out there. So, confirm the legitimacy, before joining a yoga teacher training centre in India. If you are keen on a Yoga Alliance certified TTC, do check if the institute is certified. Every major yoga teacher training centre has an online presence, and everything that’s online has a reputation. Check Map listing, Facebook page, and other places that offer the option of reviewing a business. Going through the student reviews and testimonials will help you in making the final call about your yoga school in India. It will also help if you get feedback from existing students or teachers at the school. Most yoga schools specialize in a yoga form. 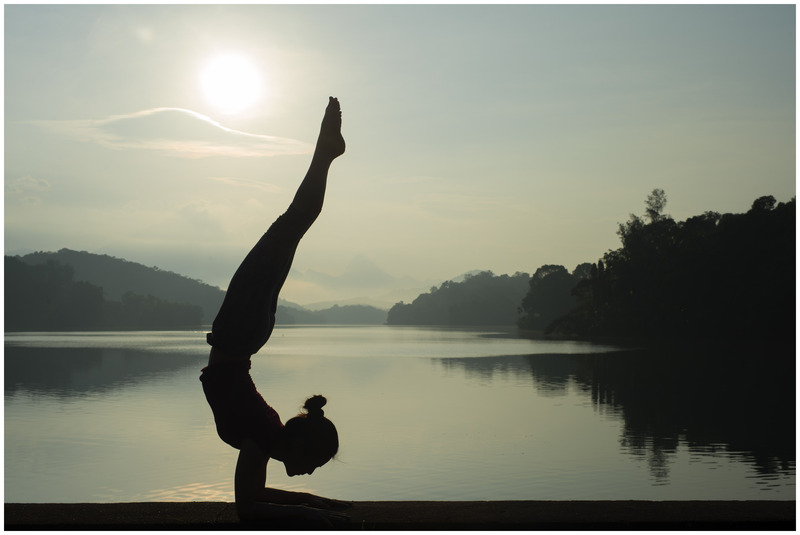 Hatha Yoga, Astanga Yoga, and Vinyasa Yoga are some of the most popular yoga forms in the world. Hence, it is important to confirm whether your chosen yoga school offers the style of Yoga that you want to master. In case you are not sure about the forms and styles, we recommend reading about different forms or consulting an experienced yoga teacher. Group learning is effective but not if the group size is too big. To make sure that you get personal attention from trainers and facilitators, become part of a YTT that has a smaller batch size. Something less than 15 would be perfect. Surely you will learn in a class bigger, but your interaction with teachers would be limited. If you are travelling India from a far-off place, you will surely plan months in advance. While you are all ready to join the YTT, unforeseen circumstances may force you to reschedule or even cancel your trip. This is why you must opt for a yoga school that offers friendly payment and refund policy. Choose a yoga academy that takes a small percentage of the course fees to book a seat and also offers a refund (after small deduction) on cancellation. Since there is no standardization in the market, check with refund and cancellation policies with the school. In addition to above tips, your yoga school should also have the capability to handle medical emergencies and should be able to provide any necessary assistance that is required. Selecting a yoga school is as difficult as choosing a college after high school but with the right approach and insights, you can make the right decision.